Spin Master takes legal action on Chinese firm for potential patent infringement on Hatchimals. Dongguan Moral Region Co Ltd., a Chinese toy manufacturer, has been sued by Spin Master, alleging patent infringement on it popular Hatchimals toy. Reportedly, Spin Master possess a utility patent in the US, which covers the technology used by the Hatchimals. In Europe, Canada, and other major territories, the company has pending patent applications. 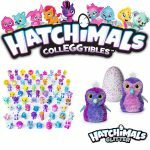 According to Ben Gadbois, COO and global President at Spin Master, after its launch, Hatchimals became a global phenomenon and it still continues to appeal to children around the world. Mr. Gadbois stated that Spin Master is proud of Hatchimals’ achievements worldwide. In an effort to ensure their long-term success, Spin Master will protect its interests and investments. The rationale behind raising awareness regarding these infringing products is to help protect importers, distributors, and ultimately consumers. Spin Master invested quite a bit in R&D to create an innovative new toy and this Chinese manufacturer just came in and allegedly ripped off their hard work. Infringers damage a toy company’s business with inferior products and consumers can’t always rely on their quality. Spin Master will continue to uphold its rights in courts as well as enforce its intellectual property rights. 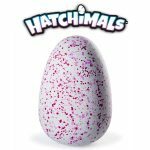 Will the new Hatchimals toys create another toy craze and make the Top Toys for Christmas list?